Jean-Michel Jarre will launch latest album Electronica Part 1: The Time Machine next month – and he says it’s his “most ambitious project” to date. It features guest appearances from 15 artists across the electronic music spectrum, including the late Edgar Froese, Air, John Carpenter, Moby, M83 and 3D of Massive Attack. 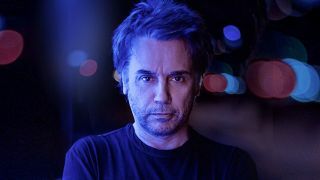 Jarre has aimed to explain the history of the genre with the work. He says: “I’ve wanted to tell a story for a while, regarding its legacy from my experience, from when I started to nowadays. “So I planned to compose for and collaborate with an array of artists, with people I admire for their contribution to our genre, that represented a source of inspiration for me. Jarre worked with each collaborator personally, rather than via remote connections. Moby says: “It would be very easy for him to sit in Paris, email people and have them send things back. “But to physically sit down with every one on multiple occasions, to be in a studio with people and push them to look at different parts of themselves as musicians – that will make this album interesting. Electronica 1: The Time Machine is released on October 16. It’s the first of two titles, featuring a total of 30 collaborators.